Made from highly absorbent, natural, cellulose material. Fast wicking action delivers quick absorption of blood and fluid from the surgical area. 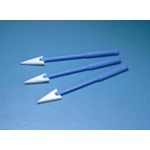 The flat tip provides precise application at the surgical incision. 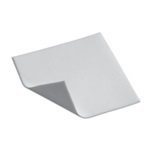 Used to protect hinge and posterior side of corneal flap. Used to protect the retina from the operating microscope light. 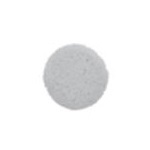 Round surgical PVA sponge disks for LASIK surgery. Various size disks on plastic handles. 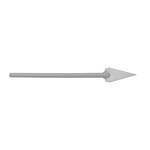 Various brand PVA eye spears made from highly absorbent Merocel polyvinyl acetal (PVA) material. Designed to benefit both the patient and surgeon, each device is absorbent and firm, allowing gentle manipulation of delicate tissues during LASIK and other corneal procedures. 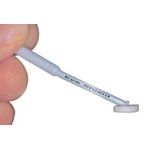 This Ultracell PVA instrument wipe is used in the care and cleaning of surgical instruments.